It was TBWA’s year at the 2018 Dubai Lynx awards, held at Dubai’s Madinat Jumeirah on Wednesday, March 14. 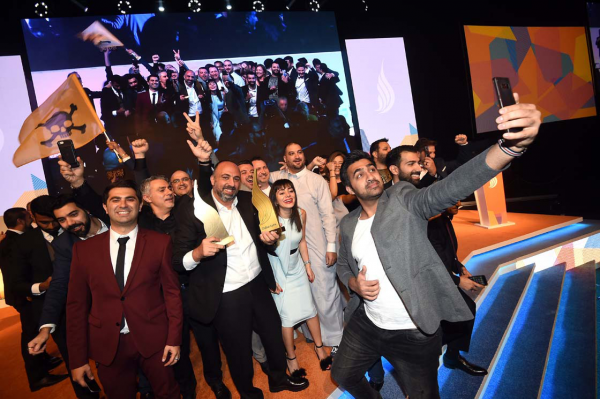 TBWA\Raad Dubai won agency of the year, making TBWA Worldwide network of the year. Ramzi Raad, the founder and group chairman of TBWA\Raad Middle East, was heard to remark on the night that as the agency turns 18, it has come of age. TBWA won Grands Prix in Innovation, Direct, PR, Promo & Activation, Creative Effectiveness, Mobile, Interactive and Radio & Audio. Eight GPs must be a Lynx record. “I am extremely proud of the team, which has consistently produced great work that is both disruptive and innovative,” said Reda Raad, CEO of TBWA\Raad. “These wins are confirmation that we are providing our clients with a truly competitive edge, producing real work for real brands that is at the cutting edge of creativity. Other Grands Prix went to: The Classic Partnership in Healthcare; Havas Media Middle East in Branded Content & Entertainment; FP7/RUH in Media; Memac Ogilvy Advize in Film Craft; Vice Arabia in Film; and J. Walter Thompson Beirut in Outdoor. There were no Grands Prix awarded in Print & Publishing, Print & Outdoor Craft, Design and Integrated. Impact BBDO Pakistan was second in Agency of the Year, while Y&R Dubai was third. McCann Worldgroup was second in Network of the Year, with BBDO Worldwide in third. Independent Agency of the Year went to Good People Content, followed by Vice Arabia then Shem’s Publicité. OMD Worldwide was Media Network of the Year, followed by Mediacom and then Magna Global and PHD Worldwide, tied for third place. The Golden Palm Award for the most awarded production house went to Good People Films, followed by Made in Saudi Films and then Dejavu. The full list of winners is at www.dubailynx.com, where you can also see the work.